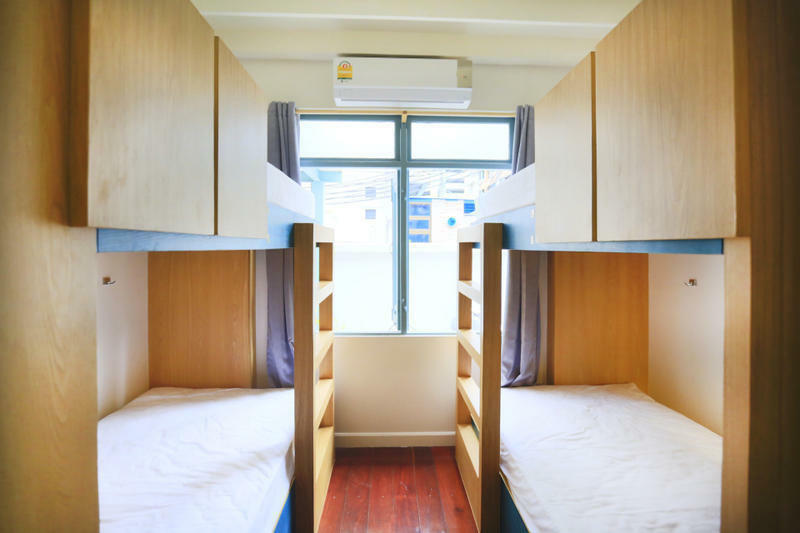 FU House Hostel is ideally located in the center of Bangkok, with easy access to BTS and MRT metro stations. Weâ€™re right in the heart of the city but also tucked away in our peaceful and cozy neighborhood, so you can enjoy all the excitement of Bangkok and still have a quiet, comfortable and safe place to sleep at night. As one of the only original Thai style wooden homes left in the area, a home with more than 50 years of history, we promise you an unforgettable personalized stay at FU House Hostel. Maintaining the historic architecture, we have recently renovated FU House to incorporate environmental sustainability practices and included all of the modern amenities to ensure you always feel at home. 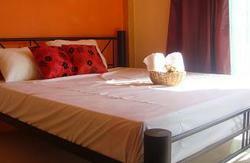 FU House offers both Dormatory rooms as well as Private Thai Suites. There are a total of 12 dormatory beds in two separate rooms (one female only room and one mixed room) and 3 private suite rooms. All rooms have shared access to common areas and amenities, while the Private Thai Suites include certain exclusive features. Whether travelling alone, as a couple, or with a group of friends, FU House Hostel is the perfect place to stay in Bangkok. With a combination of amazing friendly people, outstanding hospitality service, all in an unbeatable location, we promise you an experience that will make you wish you never have to go home. So come enjoy a drink on our terrace. 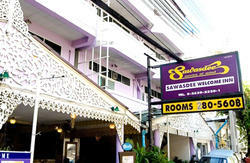 Let us show you the best of Bangkok and let us share our amazing home with you. Take BTS to Nana station get out from EXIT 4 then walk back, Soi 8 will be on your right hand side, walk into Soi 8 about 5 minutes, you will find FU House is on your left hand side. Take a taxi will cost around 300-350Baht from both Suvarnabhumi and Donmueang airport.